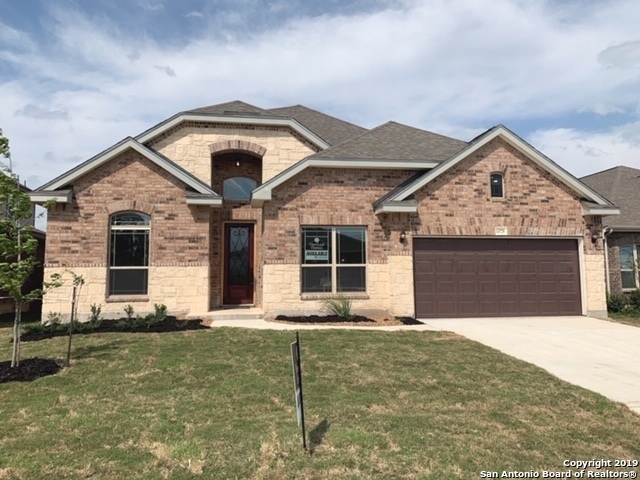 All KALLISON RANCH homes currently listed for sale in San Antonio as of 04/22/2019 are shown below. You can change the search criteria at any time by pressing the 'Change Search' button below. 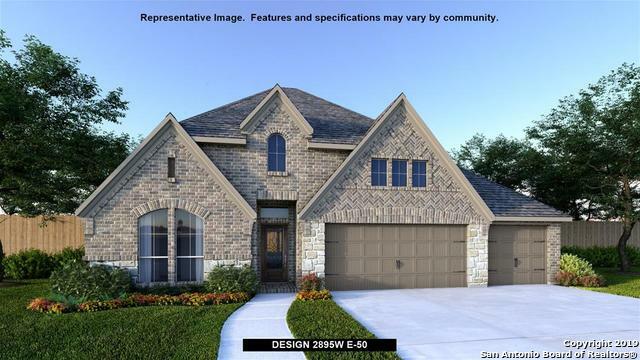 "1/3 acre lot is priceless in these new neighborhoods! located in cul-de-sac. 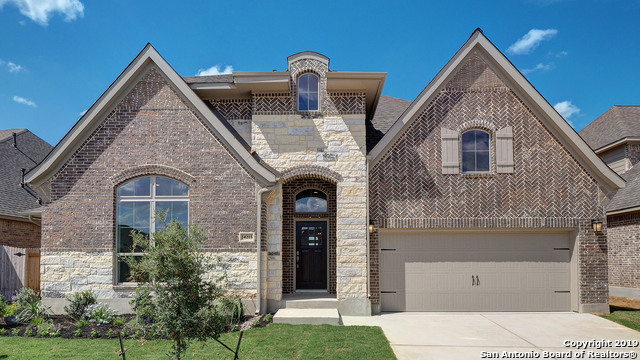 Your new home is designed for the growing family and entertaining lovers! Open floor plan with tons of natural light, NO-CARPET in common areas, super spacious pantry plenty of granite counters and extra storage. Master BR downstairs plus a in-law suite and office. Let your imagination build your dream backyard, a pool? an extended patio? herb garden? You name it. Solar panels add significant savings to your electrical"
"Kitchen features and island with built-in seating and lots of counter space. Dining area flows into the large family room with a wall of windows. Game room across from the kitchen area. Mater suite with three large windows. Master bath features separate vanities, garden tub, glass-enclosed shower and two large walk-in closets. Three secondary bedrooms. Extended covered backyard patio. Mud room leads to the three-car garage. Sprinkler system. Stage of construction is Released on the day of entry"
"Front porch leads into a 19-foot entry. Library with French doors and formal dining room frame the extended entry. Kitchen features a curved island with a walk-in pantry. Two-story family room with ceramic tile floor features a wall of windows. Master bedroom with a wall of windows. Master bath features dual vanities, garden tub, a separate glass enclosed shower and an oversized closet. Second level features a game room and secondary bedrooms. Stage of construction is Foundation on the day of en"
"Extended entry with a 13-foot ceiling. Formal dining room with ceramic tile floor. Game Room with French doors. Spacious family room with ceramic tile floor features a wall of windows opens to kitchen and morning area. Kitchen features island with built-in seating space and walk-in pantry. Private master suite. Master bath includes corner garden tub, separate glass-enclosed shower, dual vanities, linen closet and a large walk-in closet. Extended covered backyard patio. Two-car garage." 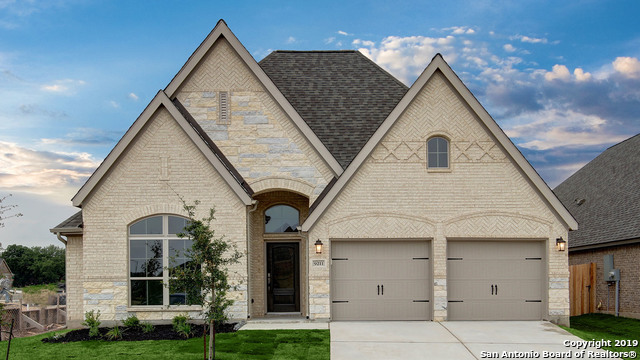 "Entry and extended entry with 12-foot ceilings. Library with French doors off the entry. Open kitchen features an island with built-in seating space. Open family room with a wall of windows. Large private master suite. Double doors lead to master bath with two large walk-in closets, dual vanities, garden tub, and a separate enclosed shower. Covered backyard patio. Mud room off of two-car garage. Stage of construction is Released on the day of entry." "Entry, extended entry and dining room with 12-foot ceilings. Library with French doors. Family room features a wall of windows. Island kitchen opens out to the family room. Highlights of the master bath include dual sinks, a garden tub, separate glass-enclosed shower and a large walk-in closet. Secluded guest suite. Large closets throughout. Extended covered backyard patio. Sprinkler system. Two-car garage." "Extended entry with 12-foot ceiling. Library with French doors. Open family room with ceramic tile floor features a wall of windows opens to morning area. Kitchen features a large island with built-in seating space and a walk-in pantry. Private master suite. Master bath features double doors with dual sinks, garden tub, a separate glass-enclosed shower and a large walk-in closet. Secondary bedrooms and a guest suite with a full bath and walk-in closet complete this generous one-story design." "Extended entry with 13-foot ceiling. Library with French doors. Formal dining room with ceramic tile floor. Open family room with a wall of windows opens to the kitchen and morning area. Kitchen features a large island with built-in seating space and a walk-in pantry. Private master suite with a wall of windows. Stage of construction is Cornice on the day of entry." "This home has been well maintained and cared for, Welcome Home! Updated wood floors throughout first level and check out the patio, perfect for entertaining. 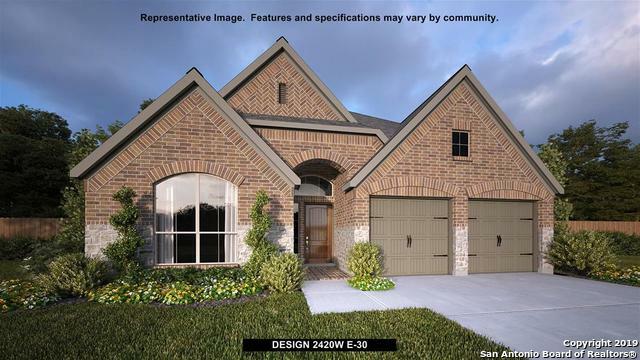 This 4bedroom, open floor plan is perfect for large families and allows ability to interact with all." 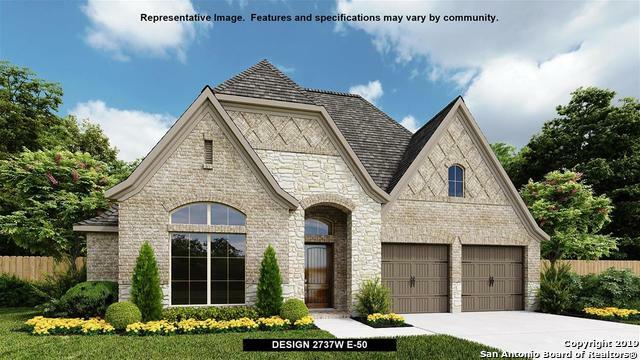 "Entry and extended entry with 12-foot ceilings. Library with French doors off the entry. Open kitchen features an island with built-in seating space. Open family room with a wall of windows. Large private master suite. Double doors lead to master bath with two large walk-in closets, dual vanities, garden tub, and a separate enclosed shower. Covered backyard patio. Mud room off of two-car garage. Stage of construction is Frame on the day of entry." 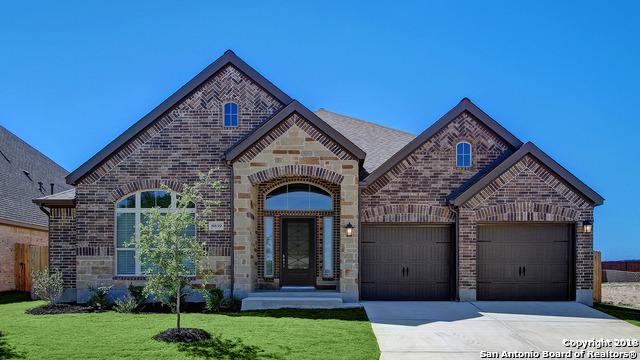 "Better than new gorgeous 4 bed, 2.5 bath home in Kallison Ranch. Open floor plan. Spacious kitchen w/ granite tops, stainless steel appliances & beamed ceilings. Eat-in breakfast area & a full sized dining room make this home ideal for entertaining. Large master downstairs w/ all other beds & game room upstairs. Vaulted ceilings & classy archways give this home a very open inviting look. A covered patio that is perfect for BBQ's, all on a corner lot of cul-d-sac! 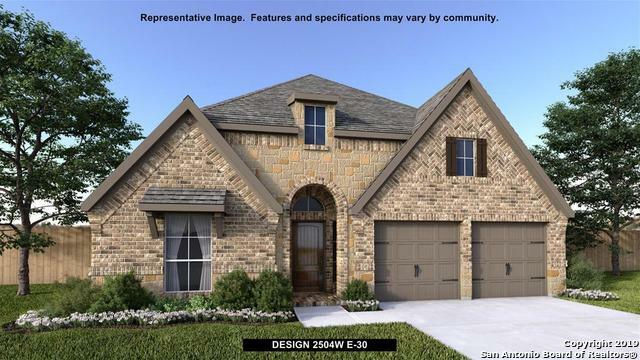 Loaded with builder extras, wh"
"Gorgeous Perry Home - READY FOR MOVE IN. 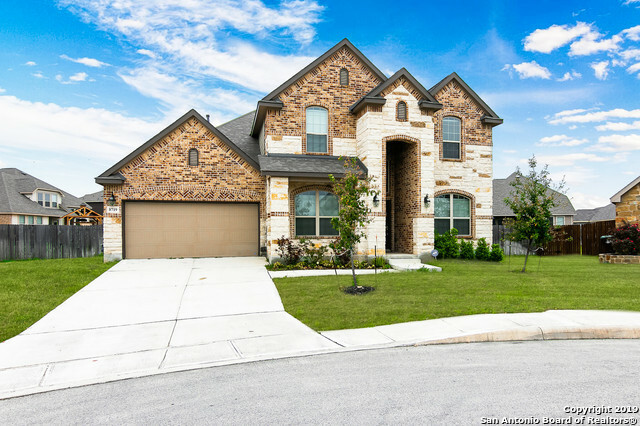 Single story with open floor plan, high ceilings, granite countertops,beautiful ceramic tile, easy access to Loop 1604 and Highway 211,short commute from local schools, shopping, dining and entertainment. Children attend Northside ISD schools, including the on-site Henderson Elementary School and the brand-new Harlan High School just outside the community entrance. 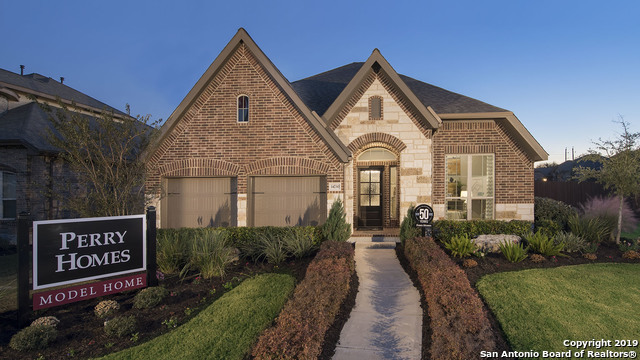 Minutes from UTSA,USAA,LAFB, and Sea World." 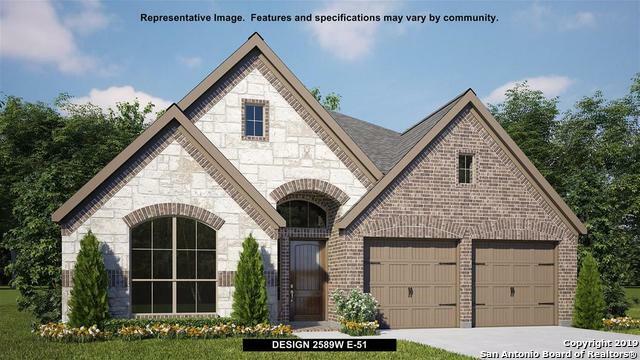 "MOVE IN READY!! Beautiful one story home on a nice lot! 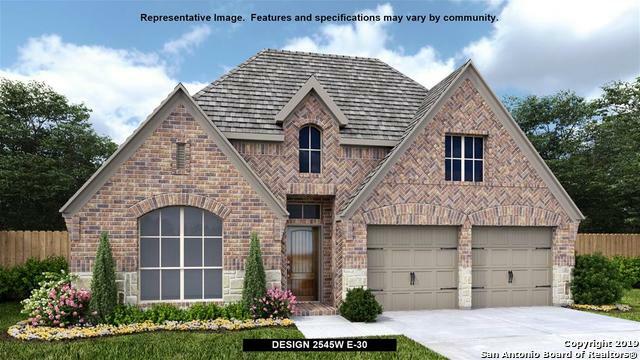 4 bedroom/3 bath w/open kitchen/family room and flex room. 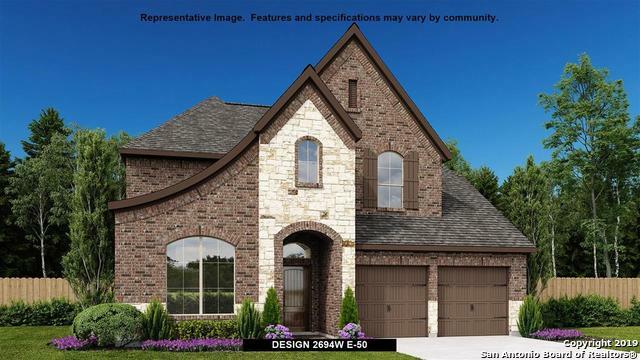 Nice standard features such as granite counter tops, architectural design, big covered patio just name a few!" 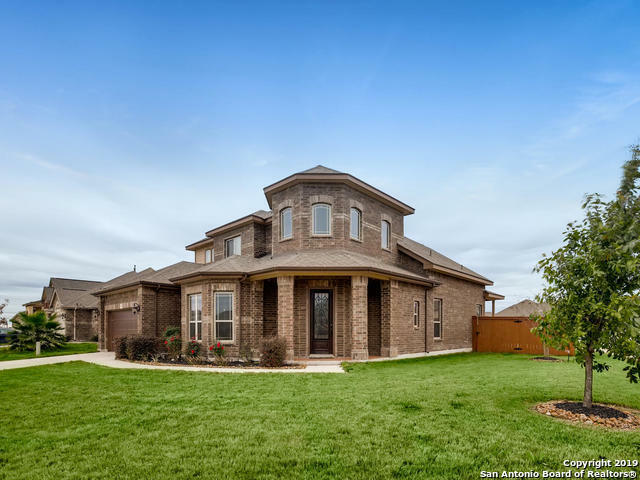 "Extended entry with 12-foot coffered ceiling leads past formal dining room to an open family room with ceramic tile floor. Island kitchen. Master suite has large bedroom with a wall of windows. Garden tub, separate glass-enclosed shower, dual sinks and oversized walk-in closet in the master bath. Large secondary bedrooms and abundant closet and storage space. Covered backyard patio. Two-car garage."